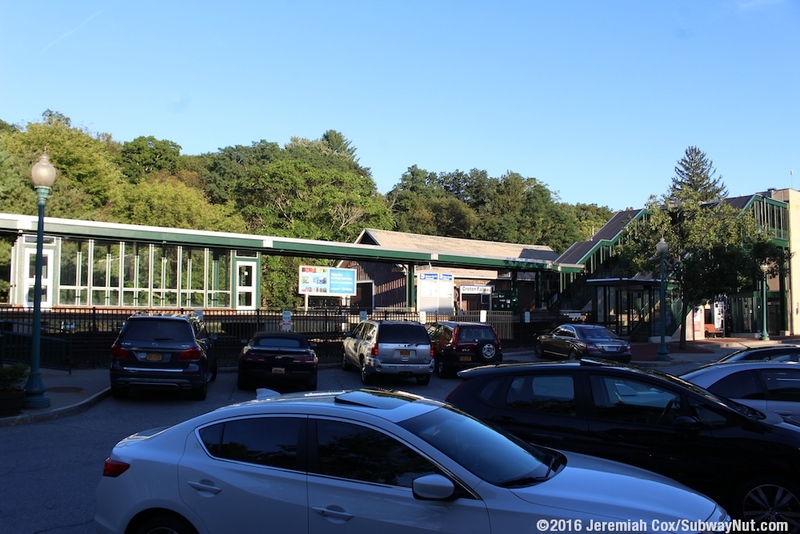 Croton Falls is the most northern stop in Westchester County. 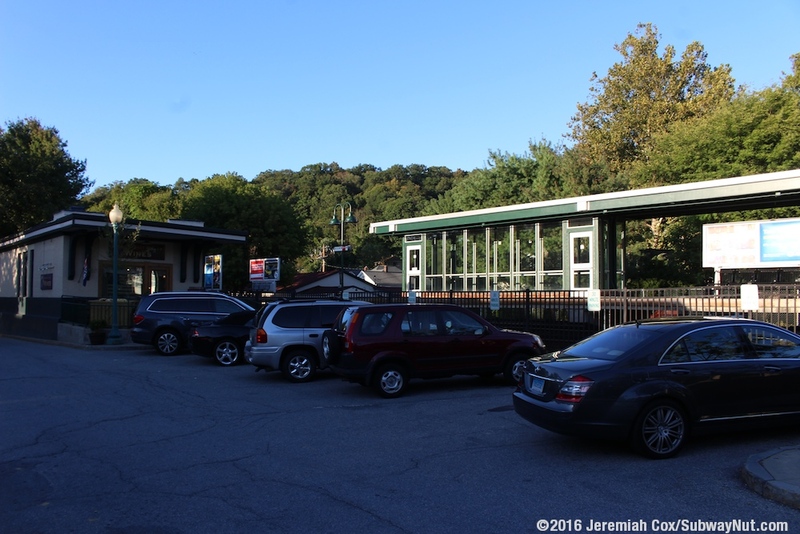 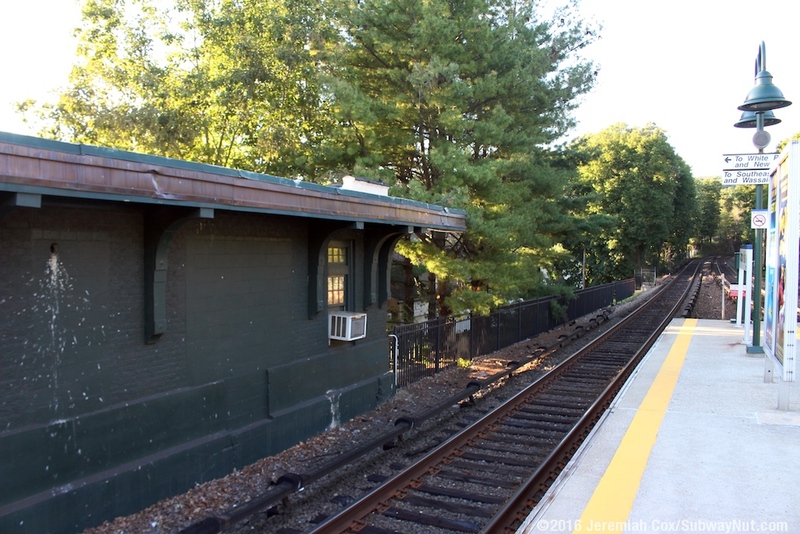 It is so close to Putnam County that Putnam County Transit (PART) under a contract to the Hudson Transit Corporation runs the Mahopac-Croton Falls Shuttle to and from the station. 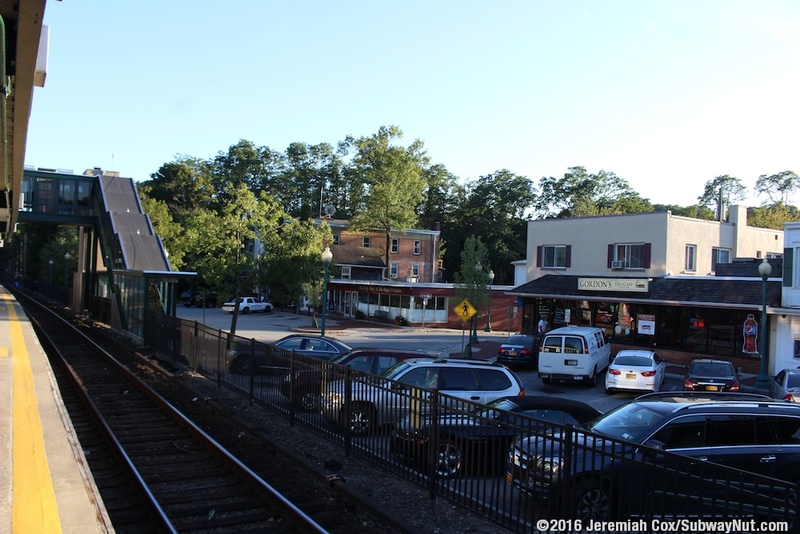 This shuttle uses small minibuses (2 are required for peak service) that are branded as the Croton Falls Shuttle (with MTA and NYS Department of Transportation logos on the back) to 3 stops along US-6 in Mahopac and Lake Mahopac. 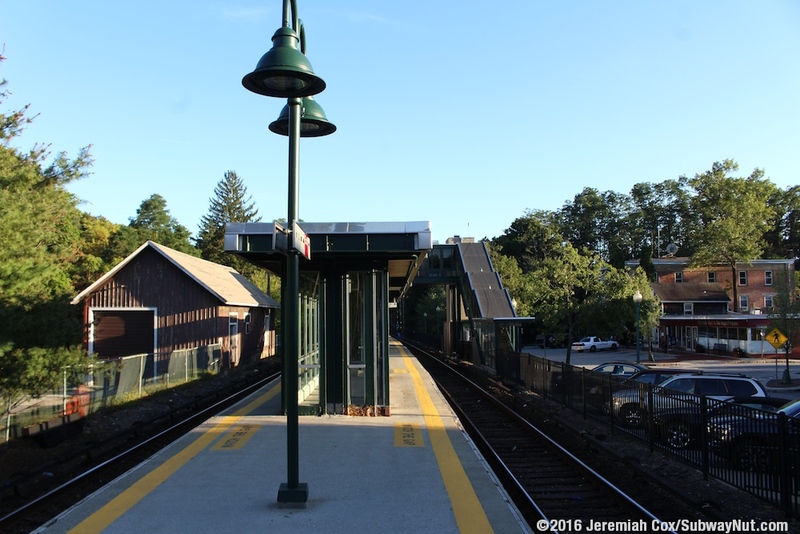 A local taxi service provides a guaranteed ride home program for commuters needing to return home at non-shuttle hours. 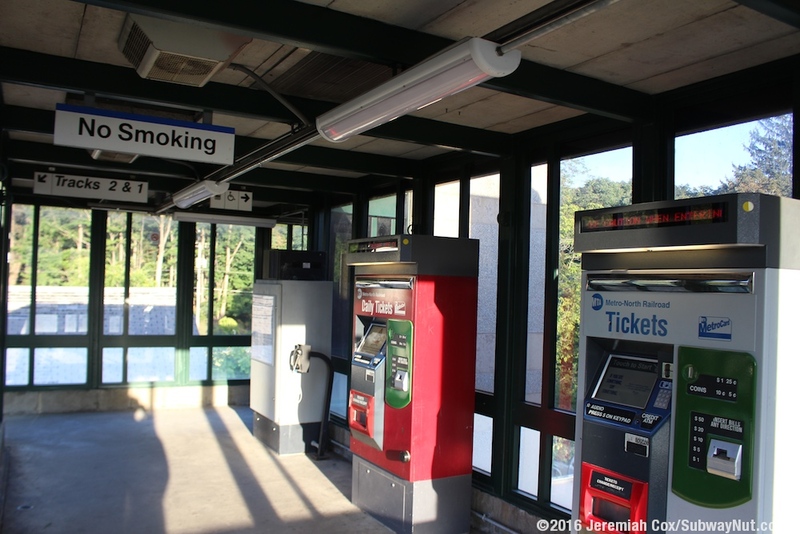 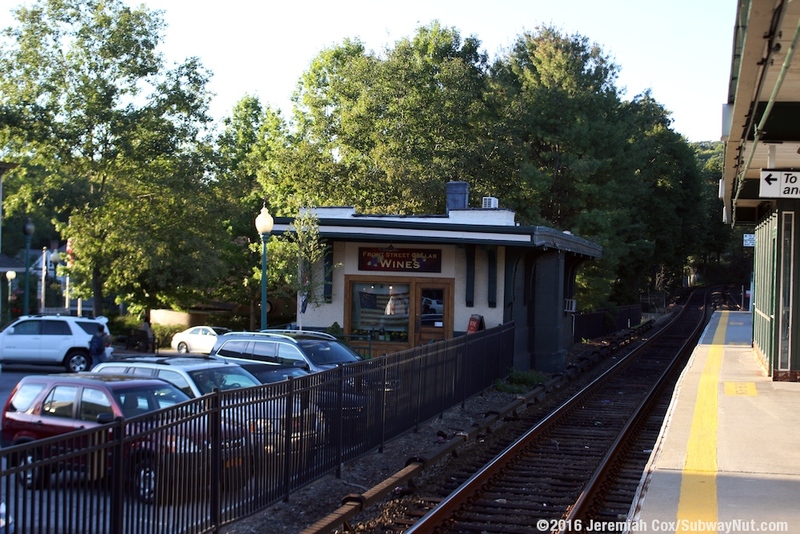 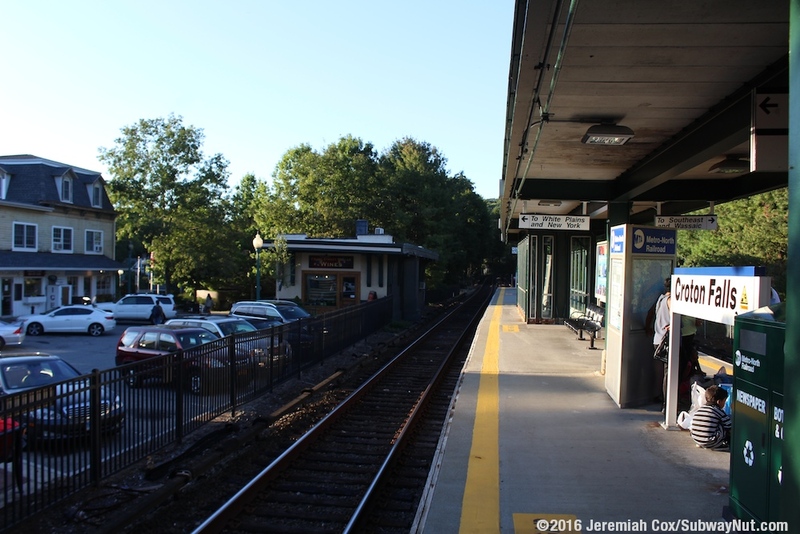 The station is located in the small two block village center of Croton Falls, and has no railroad parking (except ADA spaces) directly at the station. 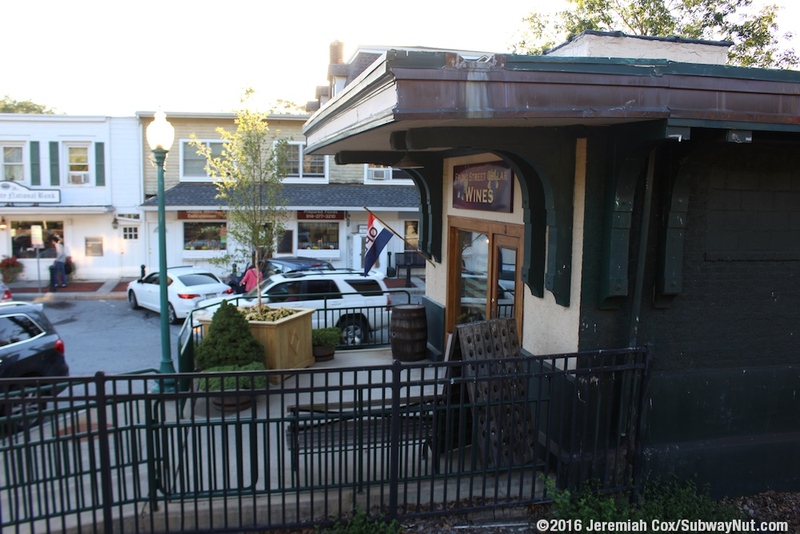 There are a total of 117 parking spaces in a couple lots on the opposite side of the town center, a block east of the station. 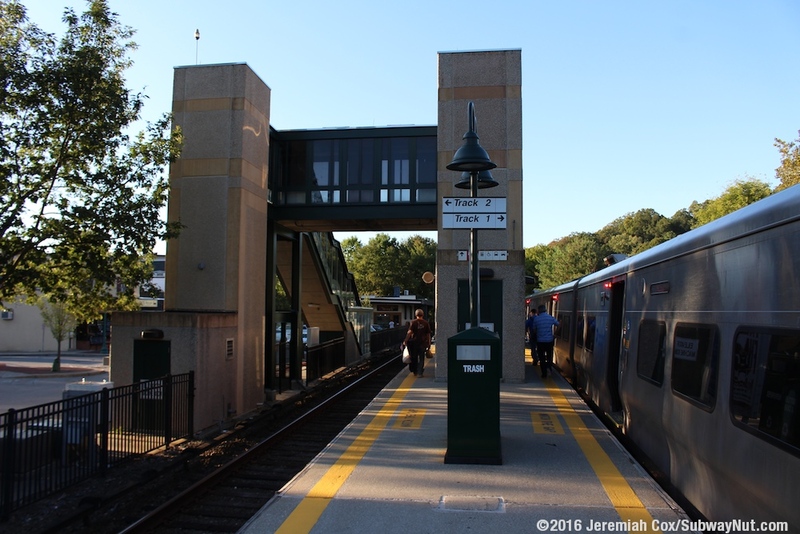 The station currently has a short high-level island platform that can only accommodate 4 cars which was built for electrification in 1984. 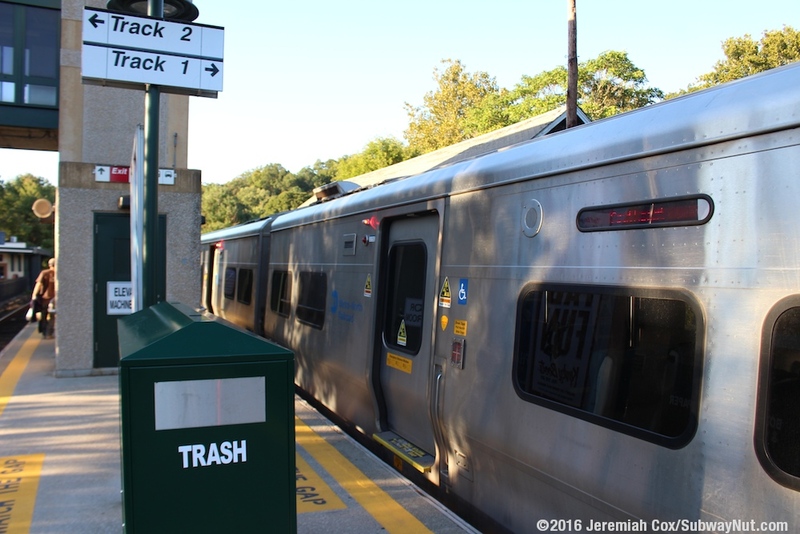 It begins a short ways south of the underpass of NYS-22/Croton Falls Road. 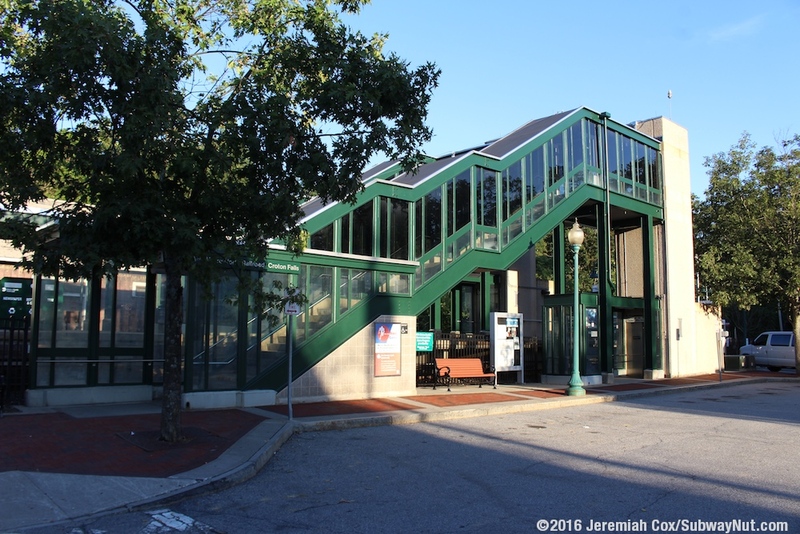 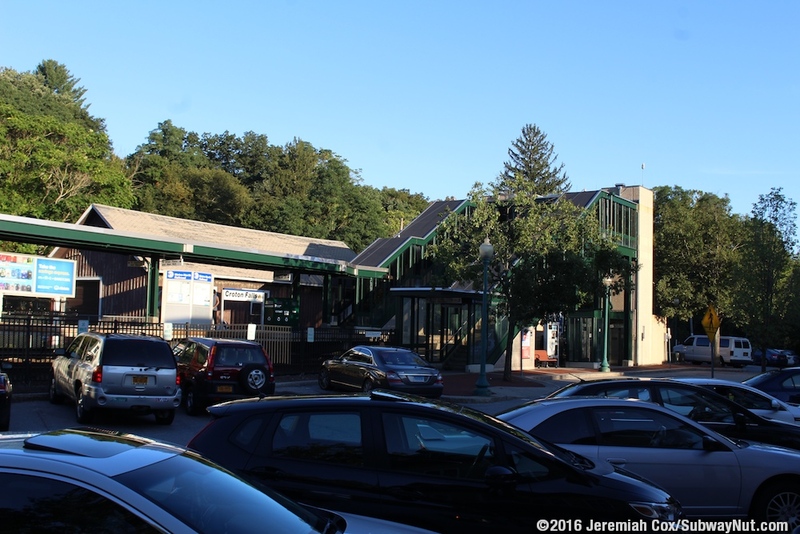 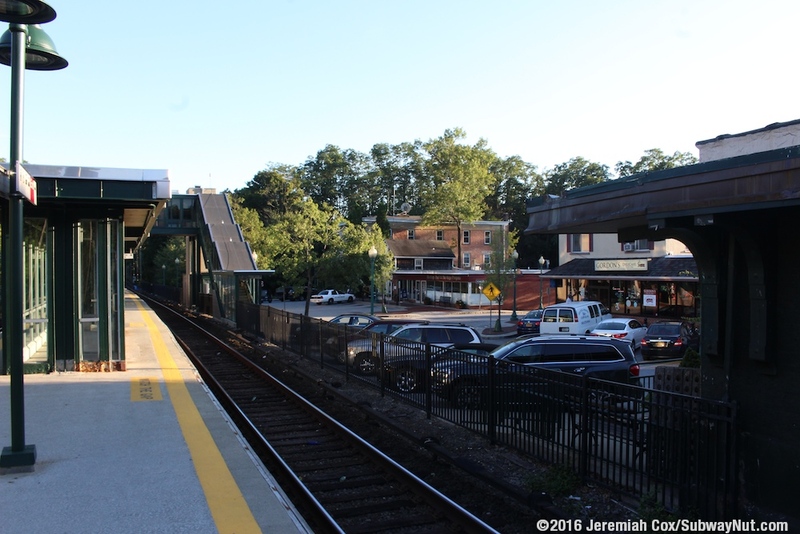 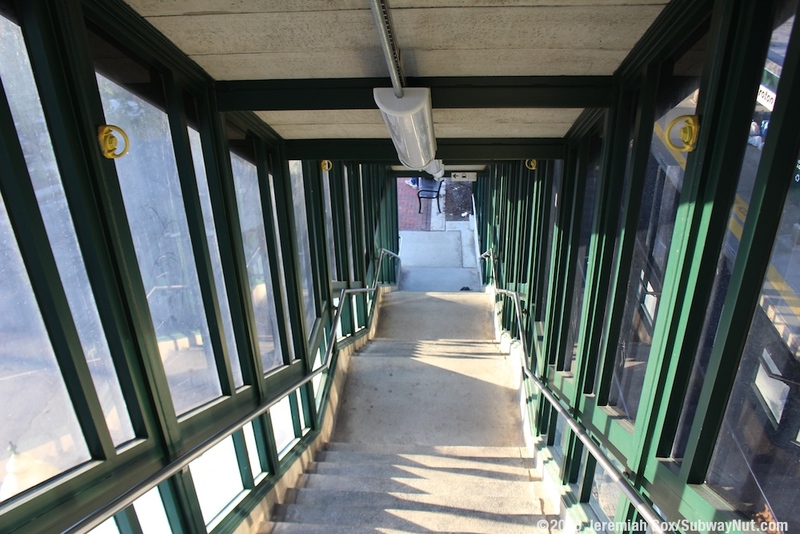 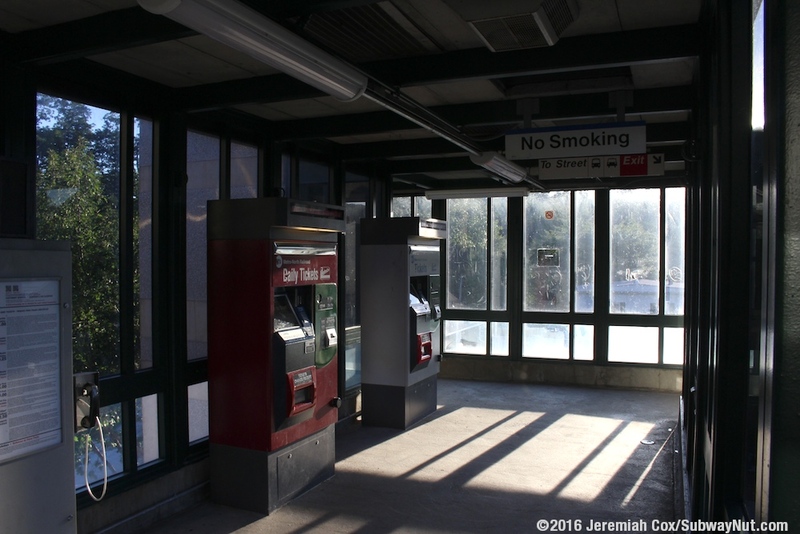 Access is provided by a single enclosed pedestrian bridge (where TVMs are) with an elevator and staircase down to platform and one down to Front Street in the village center, on the west side of the tracks. 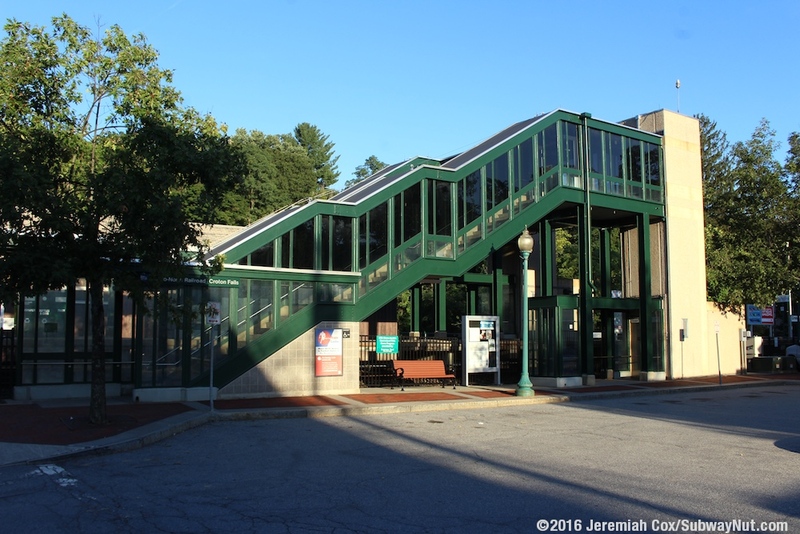 A canopy that can accommodate two cars (covering half the platform) extends form the entrance staircase. 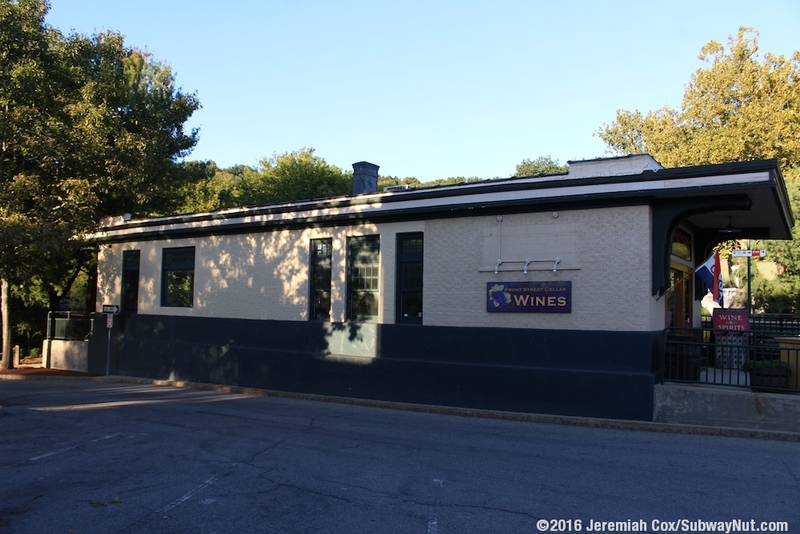 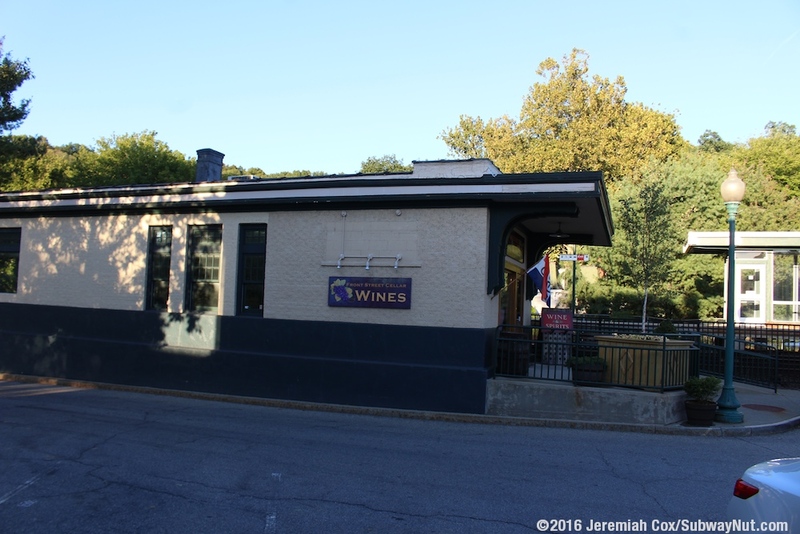 Across from the northern end of the platform on the west side of the tracks is the 1910 passenger depot, a single story brick building with a flat roof now containing Front Street Cellar Wines. 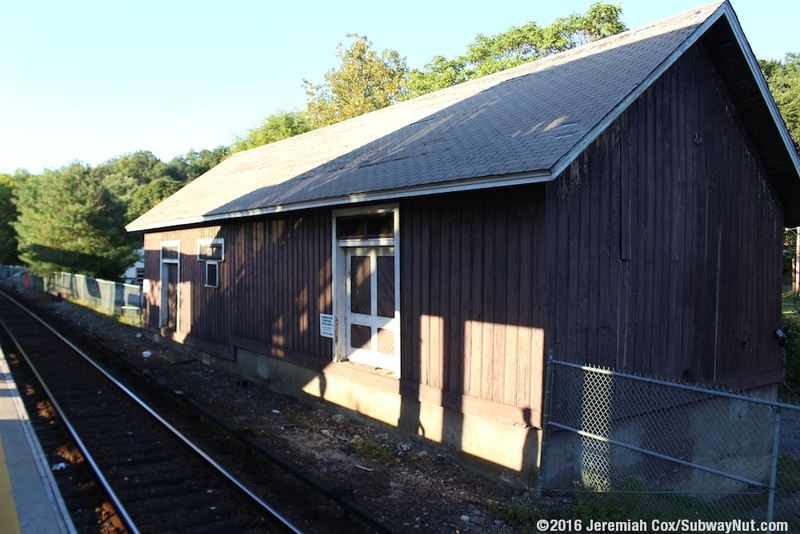 There is also a historic wooden freight house built in 1870 that is on the east side of the tracks across from the pedestrian bridge to the platform.